← How to print HPGL file to PDF file? 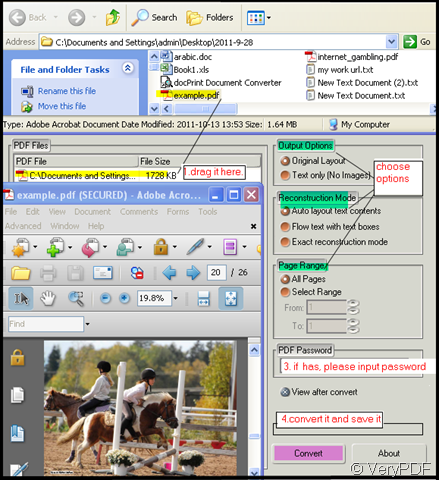 It is known to all the pdf file is not editable, but how to make it editable, VeryPDF bends themselves to the working in this area. VeryPDF is a software maker team whose products can make up a software family and are used by many big finest companies widely. 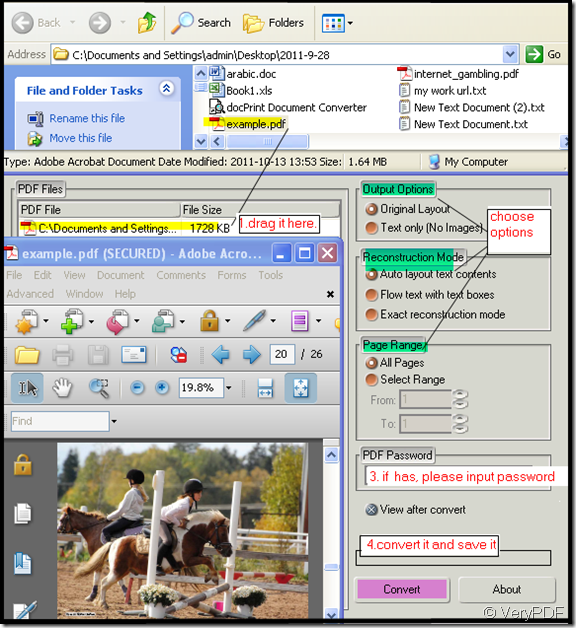 So if you want make your pdf file editable, VeryPDF can help you. As far as I know, it has two products can convert the pdf file to editable:one is PDF to PowerPoint Converter v2.0 and the other is PDF to Word Converter. If you like the latter one, you can have a look at it. Now I will introduce the first one PDF to PowerPoint Converter v2.0 by my experience. Now I will show you how to use it. First of all, you have to download it and pay for the downloading. Link for you, it is at fair price. http://www.verypdf.com/pdf2ppt/index.html#dl Once you enter the interface, you will find it is very easy to use. When you meet some difficulties, please refer to this picture. Hoping it will be helpful to you. A few seconds later, you will see a PowerPoint file bouncing to the screen and it is editable. If you do not know what the menu means you can refer to this article. http://www.verypdf.com/wordpress/201110/how-to-convert-pdf-to-mhtml-document-4072.html. The easiest way is to have a try then compare the effect. You will know which effect you like more. It only takes a few seconds to convert the pdf file to PowerPoint. So you do not worry that it will waste your precious time. Convert px3 to jpg and set color depth via command line? Can I get a PowerPoint 2003 format file from PDF with VeryPDF PDF2PPT Converter? Why we need the tool to convert PDF to PowerPoint? How to open PDF file in OpenOffice application? I have a PDF file with multiple pages, I wander whether I can convert only one page to PPT format or not.